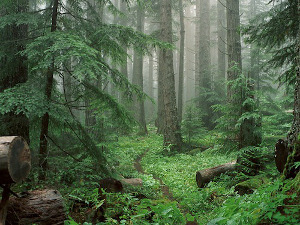 Our mission is to protect and restore systems of connected wildlands that support native wildlife and the ecosystems upon which they rely. The Washington Wildlife Habitat Connectivity Working Group (WWHCWG) is an open collaborative science-based effort to produce tools and analyses that identify opportunities and priorities to provide habitat connectivity in Washington and surrounding habitats. WWHCWG Mission: Promoting the long-term viability of wildlife populations in Washington State through a science-based, collaborative approach that identifies opportunities and priorities to conserve and restore habitat connectivity. 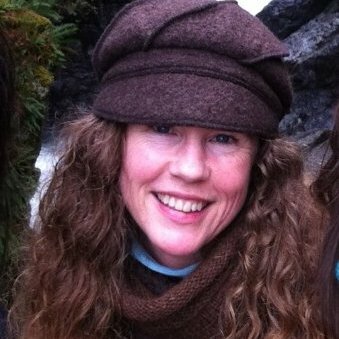 WWHCWG Vision: Permanent protection of a robust, validated network of connected habitats to accommodate species movements, range shifts, and continued ecological functions that maximize retention of biodiversity and ecological integrity in light of existing land-use pressures and climate change. SC Wildlands is working with several members of the WWHCWG to initiate a collaborative effort for western Washington extending from the Southern Cascades (from approximately Mount Rainier to the Columbia River), through southwestern Washington, and into the Olympic Peninsula. This was an area of substantial uncertainty in the statewide analysis (http://waconnected.org) due to limitations of the broad-scale spatial data required for that analysis. We are working with the WWHCWG to address this important information gap. The goal of this project is to produce a higher-resolution assessment of habitat connectivity patterns that can inform landscape planning, development of habitat conservation plans, and identify opportunities for mitigation or restoration actions that improve habitat connectivity. Critical Linkages: Bay Area & Beyond identifies 14 landscape level connections that are crucial to maintaining connected wildlife populations from Mendocino National Forest in the north to the beaches of the Santa Lucia Range on Los Padres National Forest and Hearst Ranch in the south, and eastward to the southern end of the Inner Coast Range. Such an interconnected system of wildlands would allow natural ecological processes—such as migration and range shifts with climate change--to continue operating as they have for millennia. These 14 linkages of crucial biological value could be irretrievably compromised by development projects over the next decade unless immediate conservation action occurs. These landscape linkages and the wildlands they connect are meant to serve as the backbone of a regional wildlands network to which smaller wildlands can be connected. The Critical Linkages effort was led by Science and Collaboration for Connected Wildlands (SC Wildlands), a nonprofit focused on connectivity conservation. SC Wildlands was asked to expand upon the work of the Bay Area Open Space Council’s Conservation Lands Network. The products developed for Critical Linkages are meant to fine tune the Conservation Lands Network to ensure functional habitat connectivity at a landscape scale. 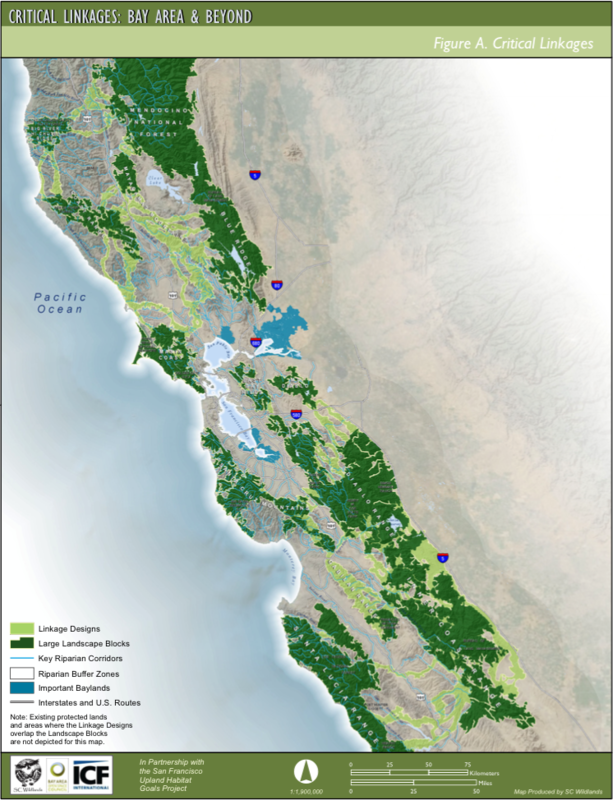 SC Wildlands collaborated with the Bay Area Open Space Council and numerous other partnering agencies, organizations and individuals to develop the Critical Linkages conservation strategy. 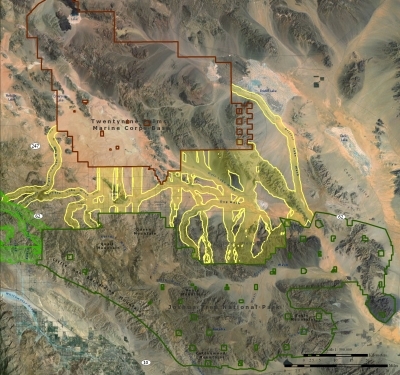 The rapidly increasing demands being placed on our deserts points to the urgent need for a connectivity assessment that spans multiple jurisdictional boundaries and promotes the partnerships needed to implement a regional conservation strategy for this diverse and striking landscape. The vast scale of renewable energy developments proposed in the California deserts are likely to impact habitat connectivity, alter essential ecosystem functions, and eliminate opportunities for species to shift their ranges in response to climate change. The potential impacts of energy development on our existing public lands, specifically to wildlife and their ability to move across the landscape, are enormous. 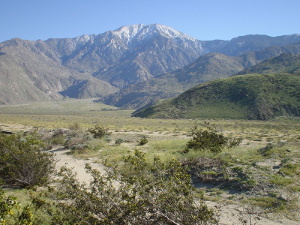 The primary goal of the California Desert Connectivity Project is to identify areas where maintenance or restoration of ecological connectivity is essential for conserving the unique biological diversity of California’s deserts. Strategically conserving and restoring essential connections between remaining wildland areas is an effective and cost-efficient measure to reduce the adverse effects of habitat loss and fragmentation. The future of our wild legacy is dependent upon the remaining natural areas being functionally connected as part of a large network of open space. 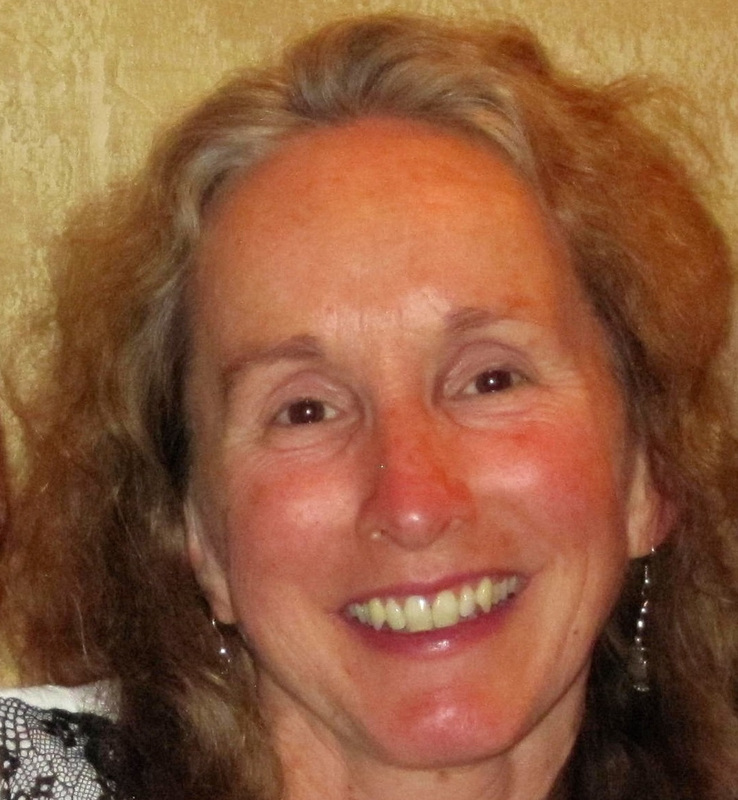 This requires identifying and prioritizing those connections that are most essential to maintaining healthy populations of native plants and animals. Habitat connectivity planning can help prevent additional species from becoming endangered, it can stabilize existing populations, and it can prevent costly long- term recovery efforts. 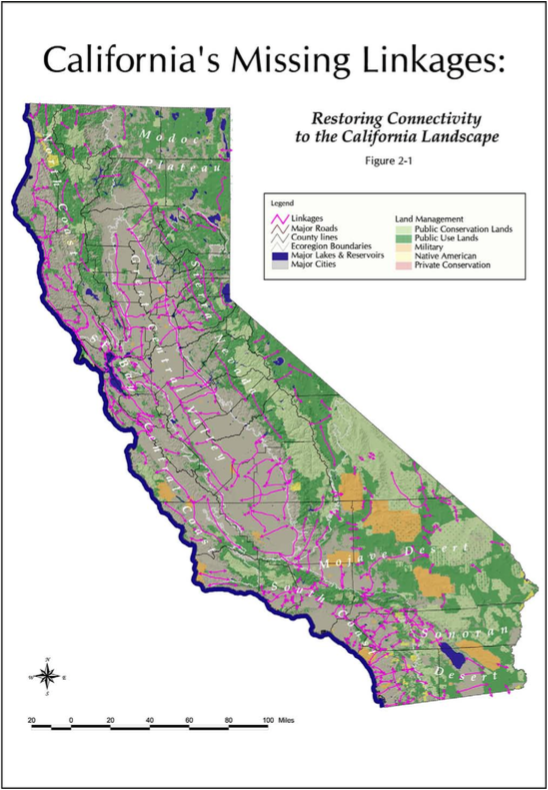 With a comprehensive multi-jurisdictional connectivity assessment, the outcome of land use changes can be altered to ensure the greatest protection for our precious natural areas at the least cost to our human endeavors. 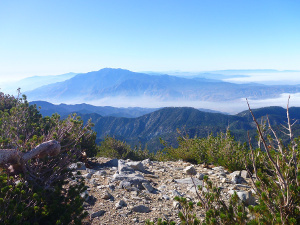 It is our hope that this project will serve as a catalyst for directing funds and attention toward the protection of ecological connectivity for California’s deserts. We envision a future interconnected system of natural space where our native biodiversity can thrive. 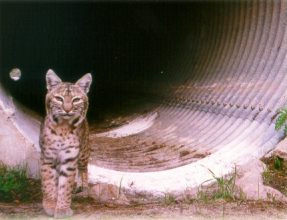 The California Department of Transportation (Caltrans) and California Department of Fish and Game (CDFG) commissioned the California Essential Habitat Connectivity Project because a functional network of connected wildlands is essential to the continued support of California’s diverse natural communities in the face of human development and climate change. This Report is also intended to make transportation and land-use planning more efficient and less costly, while helping reduce dangerous wildlife-vehicle collisions. This Report was produced by a highly collaborative, transparent, and repeatable process that can be emulated by other states. The work was guided by input and review of a Multidisciplinary Team of agency representatives, a Technical Advisory Group, and a Steering Committee. The Multidisciplinary Team (~200 people from 62 agencies) provided broad representation across Federal, State, Tribal, regional, and local agencies that are involved in biodiversity conservation, land-use planning, or land management—and that could therefore both contribute to and benefit from efforts to improve habitat connectivity at various scales. The Technical Advisory Group (44 people from 23 agencies) was a subset of the Multidisciplinary Team. It provided technical expertise to help guide such decisions as selection of data sources, models, and mapping criteria. The Steering Committee (ten people from four partner agencies) guided key decisions about work flow, meeting agendas, and document contents. In addition to review by these agency representatives, the work plan and this final report were subject to peer review by five outside experts in conservation biology and conservation planning. 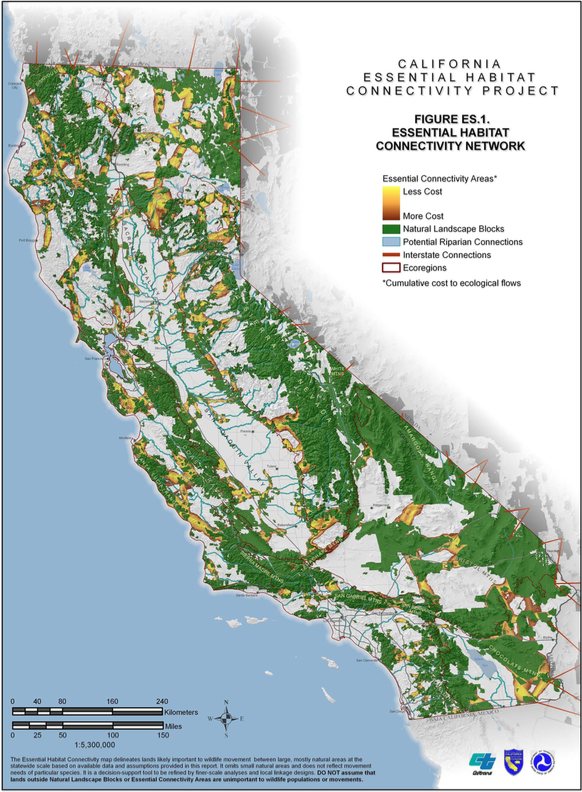 This Essential Habitat Connectivity Report includes three primary products: (1) a statewide Essential Habitat Connectivity Map, (2) data characterizing areas delineated on the map, and (3) guidance for mitigating the fragmenting effects of roads and for developing and implementing local and regional connectivity plans. 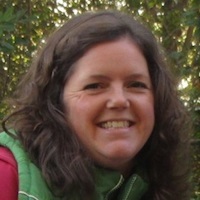 These products will be made available for public use on two websites—BIOS, managed by the California Department of Fish and Game (http://bios.dfg.ca.gov), and Data Basin, managed by the Conservation Biology Institute (http://databasin.org). Both are interactive web-based systems that allow users to download, print, combine, comment on, or otherwise use the maps, data layers, and other information. 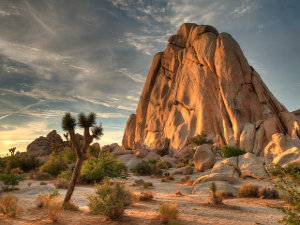 The Linkage Design for the Joshua Tree - Twentynine Palms Connection encompasses basin and range topography with an impressive array of geological formations and broad alluvial fans or bajadas. It includes several major swaths of habitat to accommodate diverse species and ecosystem functions. The two areas targeted to be served by the linkage, Joshua Tree National Park and the Marine Corps Air Ground Combat Center (MCAGCC) at Twentynine Palms, support a great diversity of species. 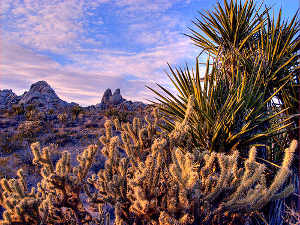 Joshua Tree provides habitat for more than 250 resident and migratory birds, 52 mammals, 44 reptiles, 3 amphibians, and more than 700 vascular plant species, while MCAGCC supports nearly 400 plant species and more than 250 vertebrate wildlife species. Habitat loss and fragmentation are the leading threats to biodiversity worldwide, and nowhere is the risk more severe than in southern California. 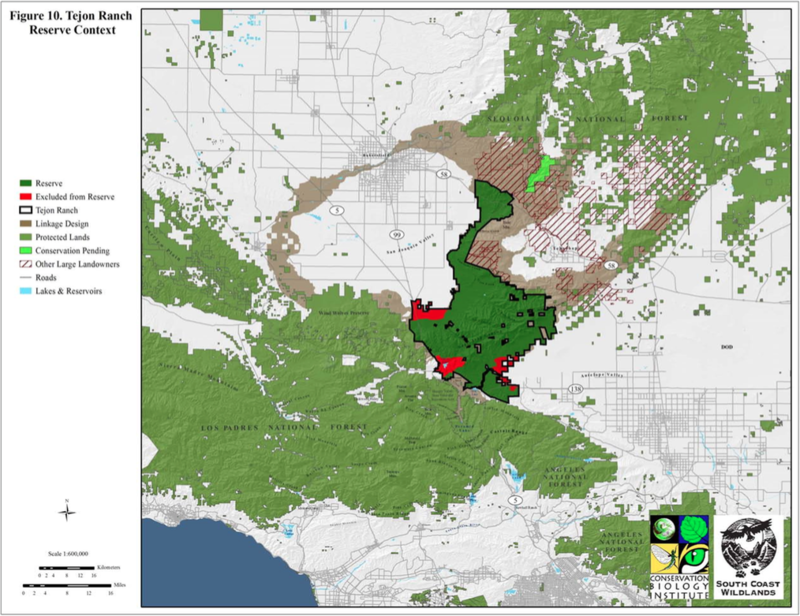 Countering these threats requires protecting connections between our existing open space areas to form a regional wildland network. Such an interconnected set of reserves would allow natural ecological processes—such as migration and range shifts with climate change--to continue operating as they have for millennia. The South Coast Missing Linkages project has developed a comprehensive plan for such a regional network that would maintain and restore critical habitat linkages between existing reserves. 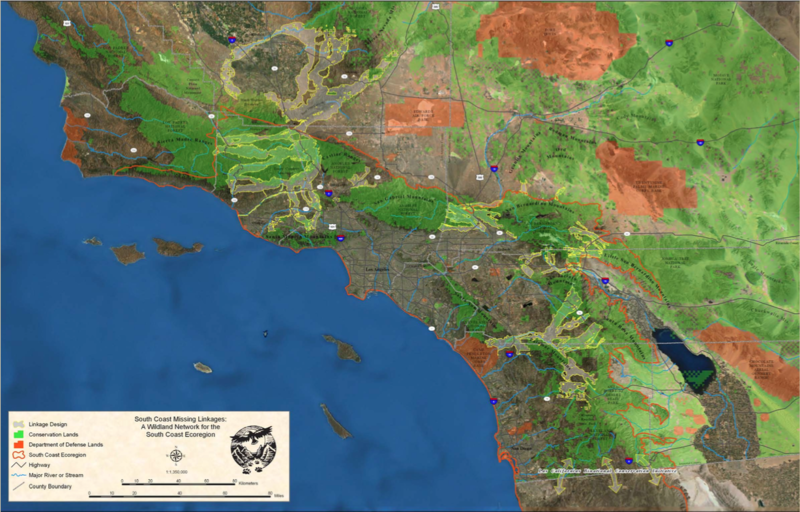 These linkages form the backbone of a conservation strategy for southern California where the whole would be greater than the sum of the parts. This strategy represents the best hope for maintaining what remains of southern California’s wildlife legacy, while ensuring quality of life for our citizens via clean air, clean water, and recreational opportunities. South Coast Missing Linkages is a highly collaborative inter-agency effort to identify and conserve the highest-priority linkages in the South Coast Ecoregion. 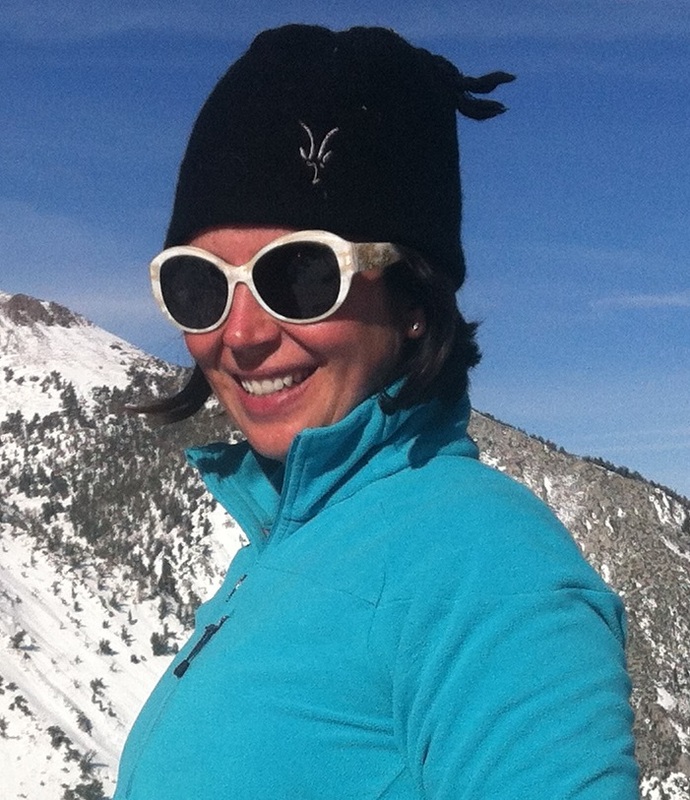 Partners include South Coast Wildlands, National Park Service, U.S. Forest Service, California State Parks, The Wildlands Conservancy, The Resources Agency, California State Parks Foundation, The Nature Conservancy, Santa Monica Mountains Conservancy, Resources Legacy Foundation, Conservation Biology Institute, San Diego State University Field Stations Program, Environment Now, Mountain Lion Foundation, and the Zoological Society of San Diego’s Conservation and Research for Endangered Species, among others. Cross-border alliances have also been formed with Pronatura, Universidad Autonoma de Baja California, Terra Peninsular, and Conabio, in recognition of our shared vision for ecological connectivity across the border into Baja. 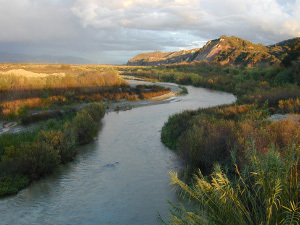 The goals of this project are to inform decision makers and community members about maintaining the health and integrity of the upper Santa Clara Watershed and the Santa Clara River. 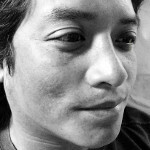 Our audience will be planners, politicians, and the community at large. Our goal is to extend the message of sustainable watershed management, restoration, and stewardship in the context of an expanding demand for housing and infrastructure in the region. We seek to restore and conserve the biodiversity, water quality and quantity of the watershed and River, as well as, to preserve the quality of life for existing and future residents of the watershed. 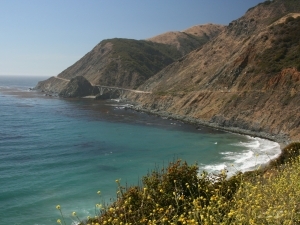 This habitat connectivity study was initially undertaken to assist California Energy Commission, County of San Luis Obispo, California Department of Fish and Game (CDFG) and U.S. Fish and Wildlife Service (FWS) in assessing baseline conditions in the Carrizo Plain where large-scale solar projects are proposed. Carrizo Plain is home to a number of sensitive species that could be detrimentally affected by loss and fragmentation of their habitat and their ability to move through the region. 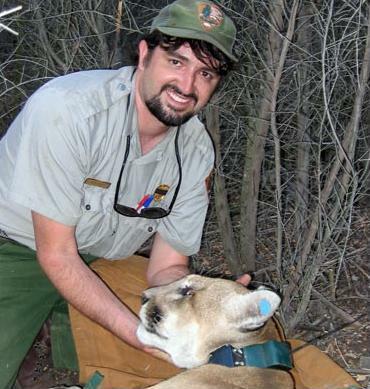 Three species of special management concern: tule elk (Cervus elaphus nannodes), pronghorn antelope (Antilocapra americana), and San Joaquin kit fox (Vulpes macrotis mutica) were selected as focal species. 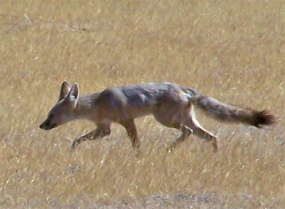 It is assumed that maintaining habitat connectivity for these species will not only sustain their long-term population viability, but will also help to maintain healthy populations of other native species, as well as provide resilience to native ecosystems, and the ecological processes that they support, in the face of climate change. The three focal species use portions of the proposed project areas for foraging, reproduction, and/or movement between other areas to varying degrees. This study is intended to provide insight into the existing baseline conditions of the landscape, and how that landscape provides habitat and movement opportunities for wildlife. 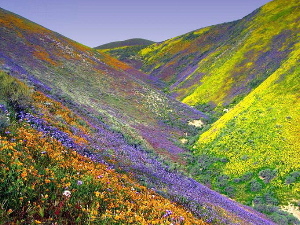 The results of the baseline conditions analyses will be used by the County of San Luis Obispo to analyze potential impacts of the proposed solar projects, both in isolation and cumulatively, on the focal species and evaluate proposed mitigation options and strategies that were not expressly addressed by this study. 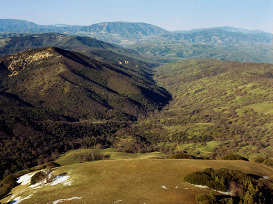 The 270,750-acre Tejon Ranch is the largest contiguous tract of privately owned land in California and arguably the most valuable conservation property in the state. 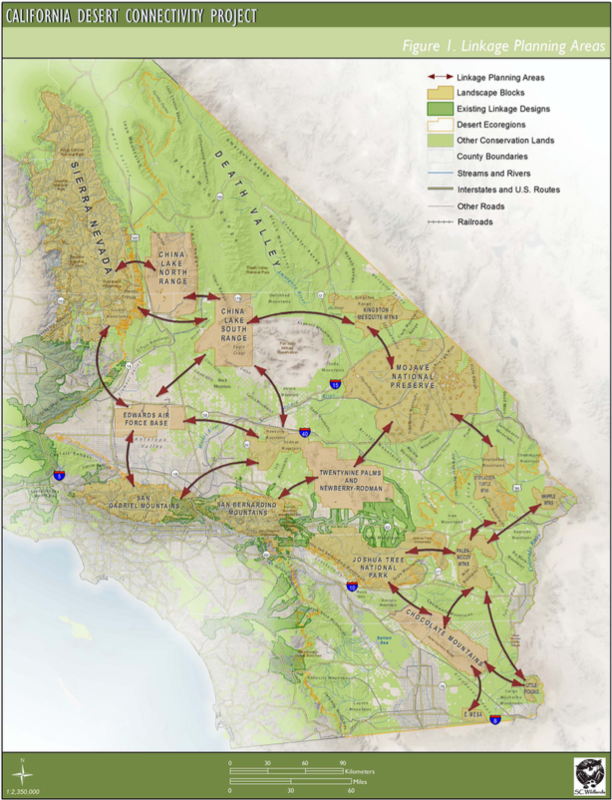 Tejon Ranch forms an essential landscape feature—serving to connect the Coast Ranges, Sierra Nevada, San Joaquin Valley, and Mojave Desert. It is currently the subject of development proposals that could irretrievably change the landscape that it defines. The purpose of this study is to design a wildland reserve for the Ranch that captures the broad array of landscape functions and conservation values that it supports. This planning effort is intended to be biologically conservative; that is, it is intended to ensure that, in the face of future development outside of the reserve, species and habitats are unquestionably protected, landscape-scale processes can proceed within their natural ranges of variability, and responses to extreme events and long-term climate changes can be accommodated. We did not explicitly consider the effects of the reserve configuration on the viability of species populations or its contribution to the recovery of listed species in the region. 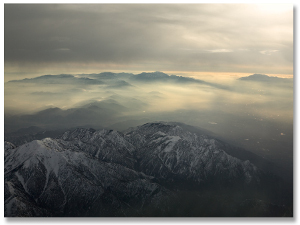 Furthermore, while we excluded some areas from the reserve based on their lesser contributions to landscape values, we did not explicitly consider whether these areas are appropriate for development from a regional development planning perspective, potential development constraints or the development suitability of portions of these areas, environmental compliance or endangered species permitting implications of development in these areas, other constraints such as military flight corridors, or economic considerations relating to development or implementation of conservation and management actions on the reserve. 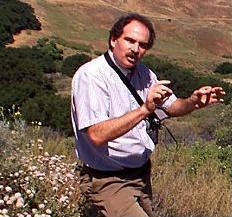 The work herein draws extensively on our previous studies relating to Tejon Ranch (Stallcup et al. 2003, White et al. 2003) and the Tehachapi Mountains region (Penrod et al. 2003, 2005). These studies have been conducted entirely with publicly available information, and the reader is referred to these reports for descriptions of relevant methods, results, and literature reviews. We also convened a technical peer review group to review the draft findings of this study (Attachment A). We revised the approach and document to reflect the input received at the peer review workshop, but these individuals have not necessarily endorsed our results or conclusions. The groundbreaking “Missing Linkages” report published in fall 2001 brought habitat connectivity to the forefront of conservation thinking in the state. 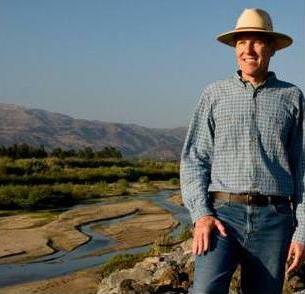 The primary goal of the Missing Linkages: Restoring Connectivity to the California Landscape conference was to bring together land managers and planners, conservationists, and top scientists from each ecoregion in the state to identify the location of, and threats to the most important movement corridors for California’s wildlife. 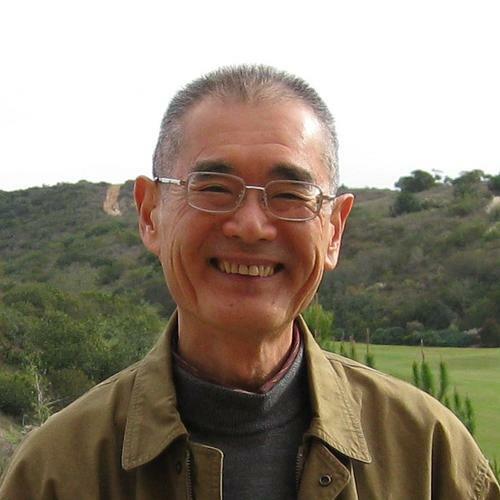 The conference was held on November 2, 2000 at the San Diego Zoo, San Diego, California. Missing Linkages was a tremendous success with one hundred and sixty scientists, conservationists, land managers, and planners in attendance. Participants identified over 200 linkages needed to prevent isolation of wildlands in California. SC Wildlands (SCW) is a non-profit organization dedicated to ensuring functional habitat connectivity across diverse wildland networks. SCW is working with conservation biologists, ecologists, wildlife agencies, land managers and planners, and other conservation organizations to develop and implement regional conservation strategies. We are deeply committed to collaboration and coordination to achieve the vision of protected and restored systems of connected wildlands.